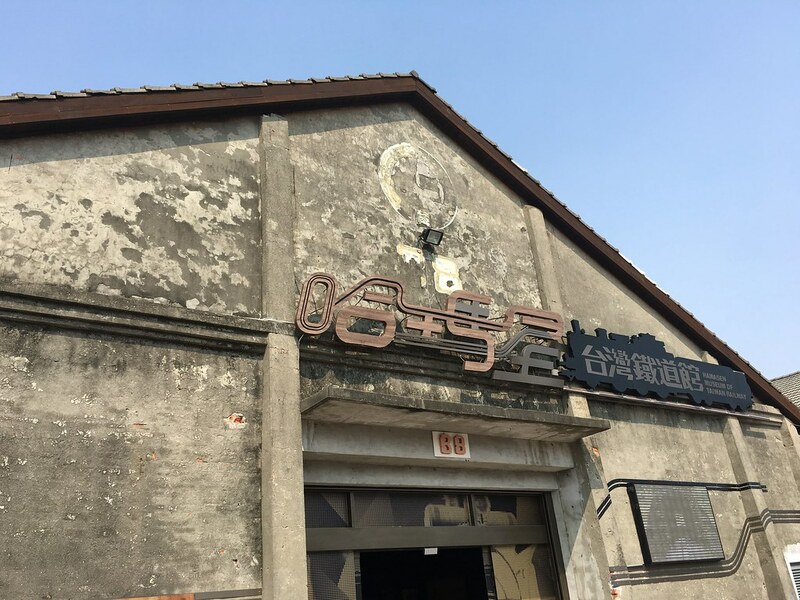 CiJin 旗津 Old Street and beach. 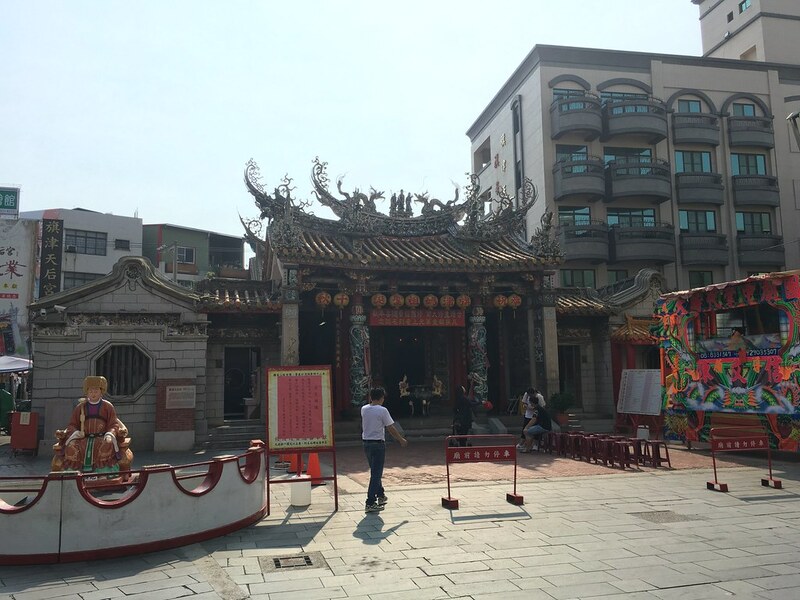 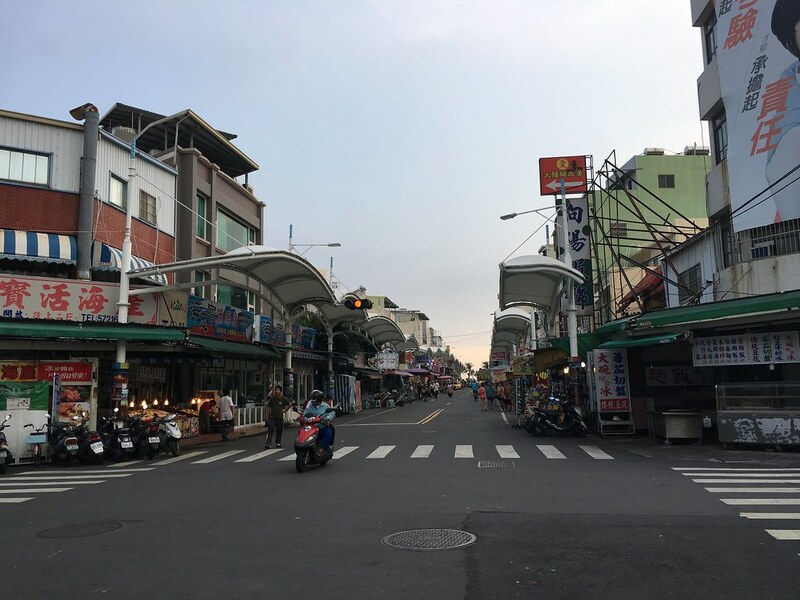 My buddy came to Taiwan from Seattle and stayed in KaohSiung. 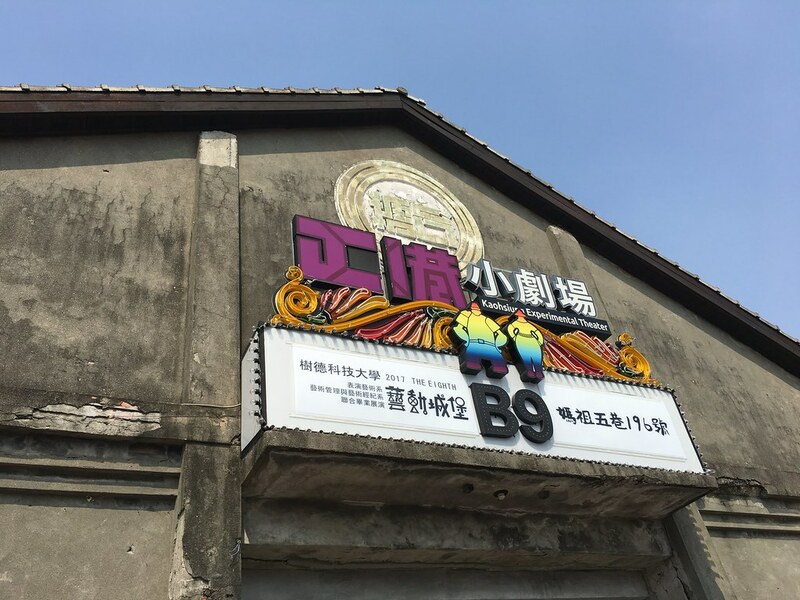 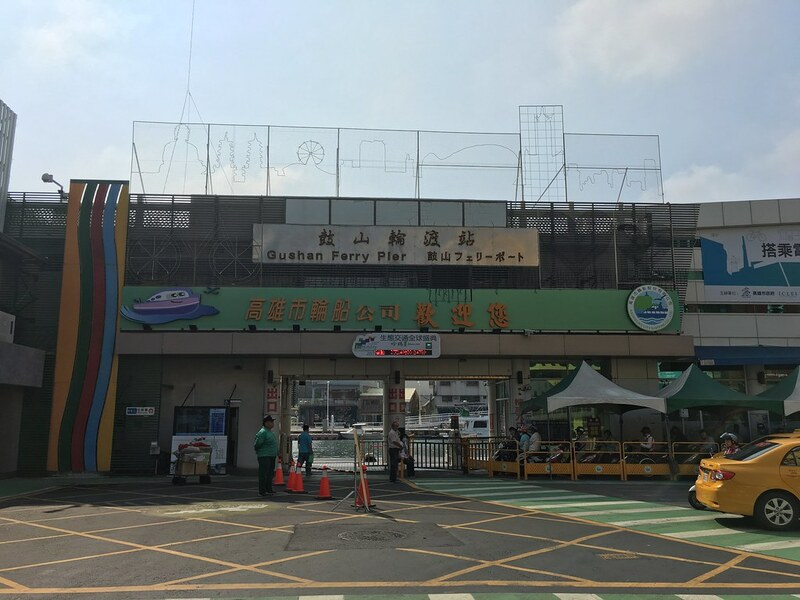 Since I’ve only went to KaohSiung once I was curious to know more. 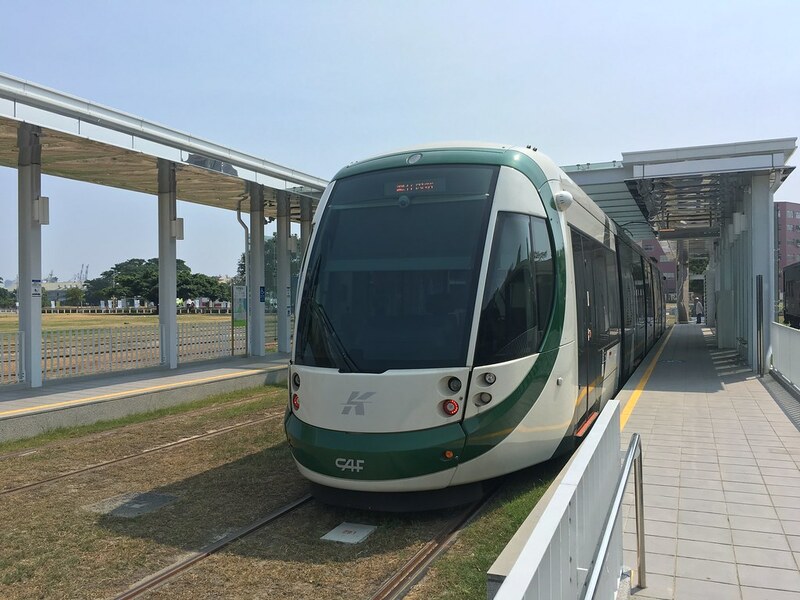 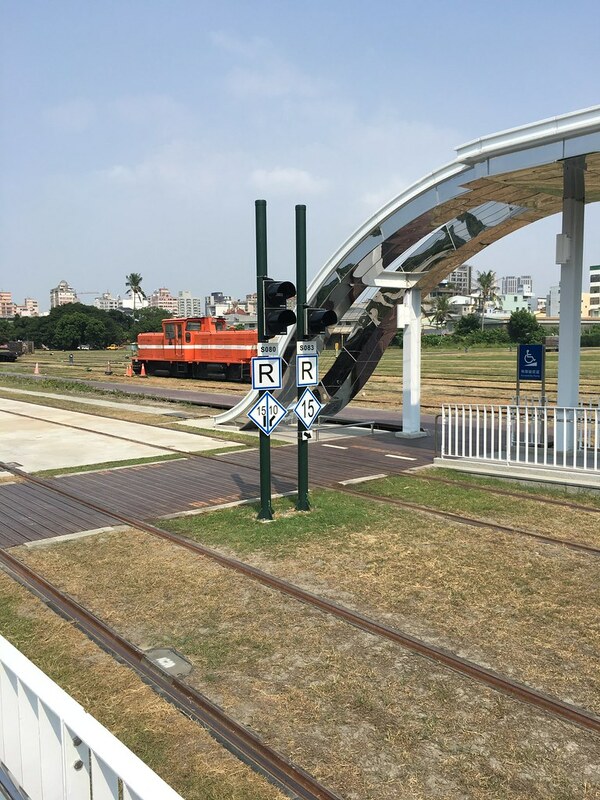 Thus right after my USA flight I took the Taiwan HSR and headed straight to KaohSiung (Yap this is my style of exploration). 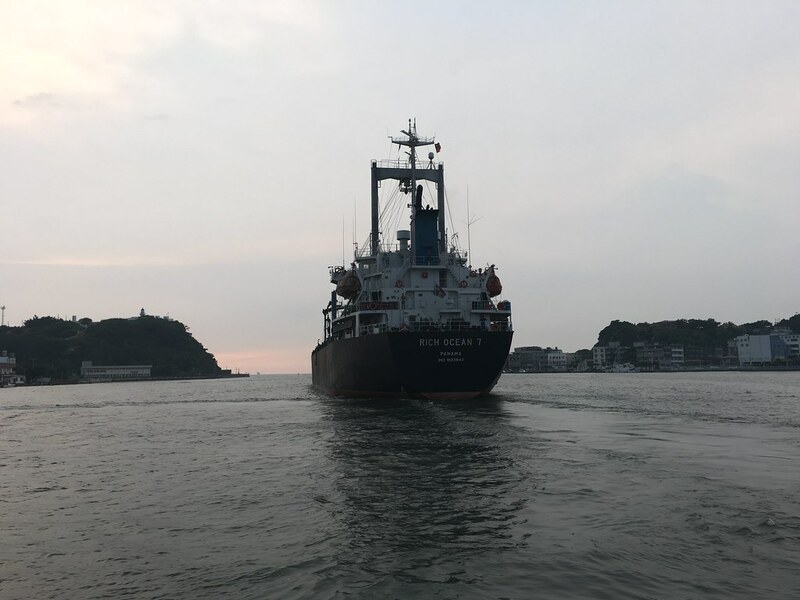 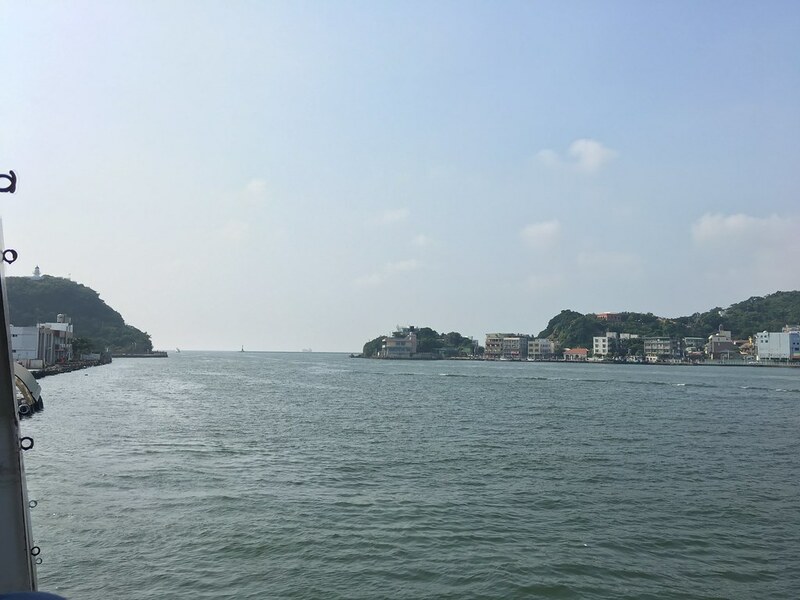 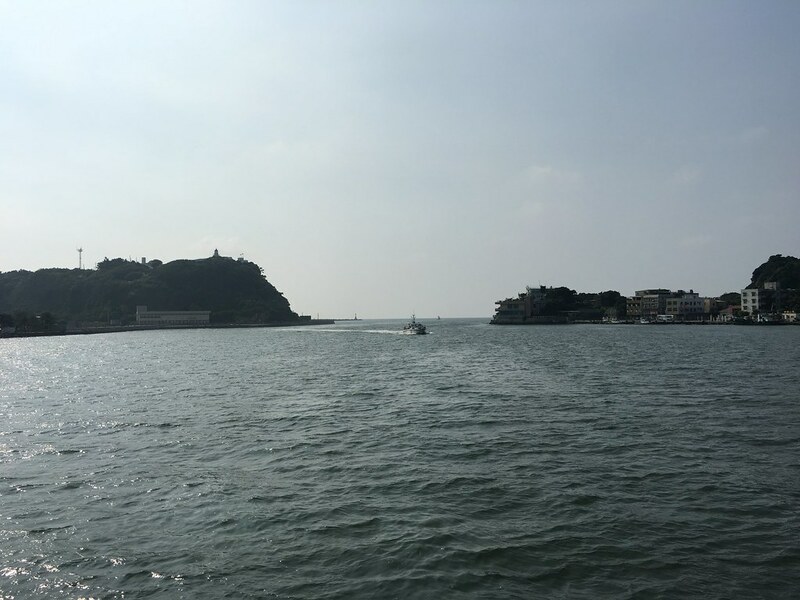 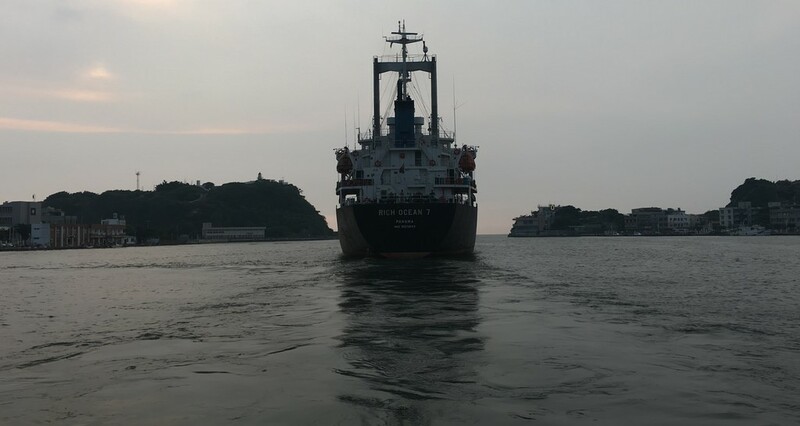 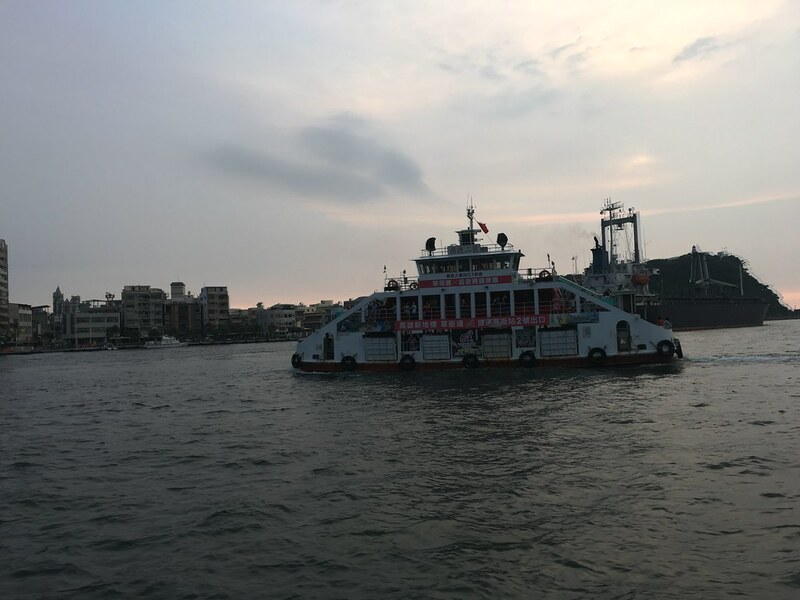 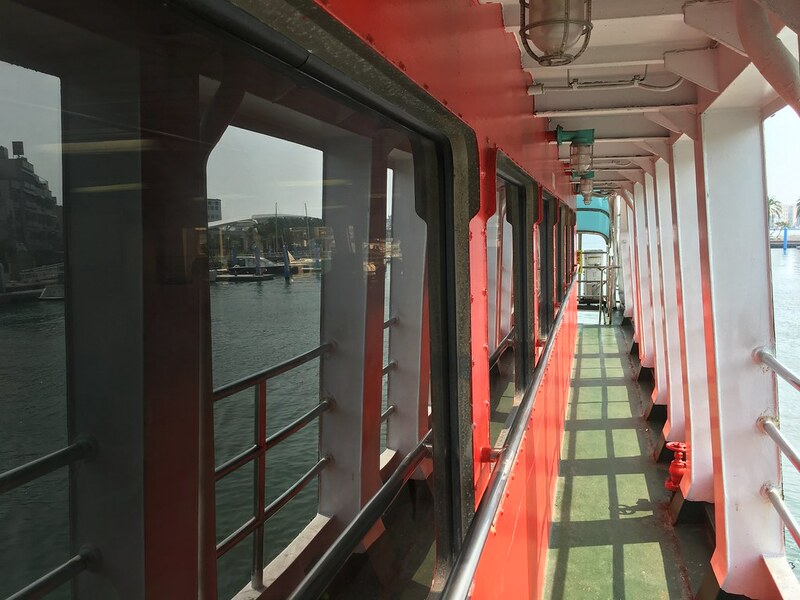 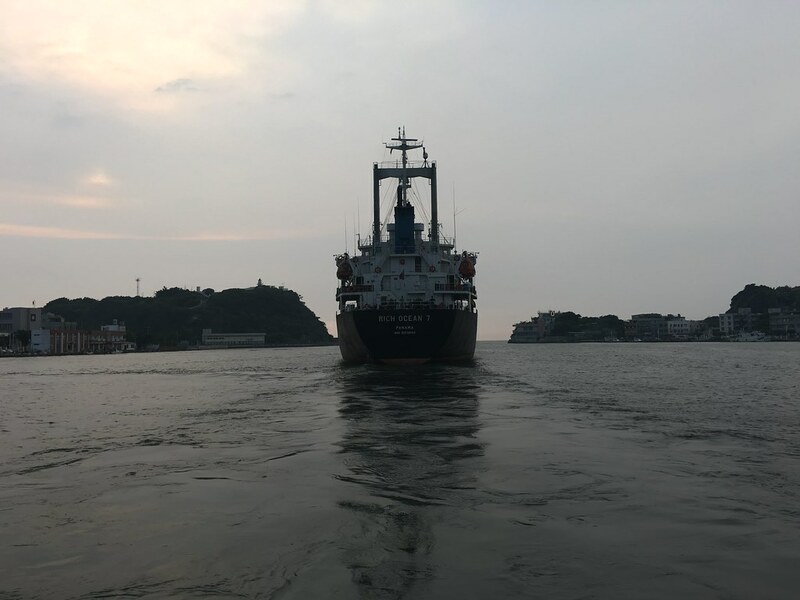 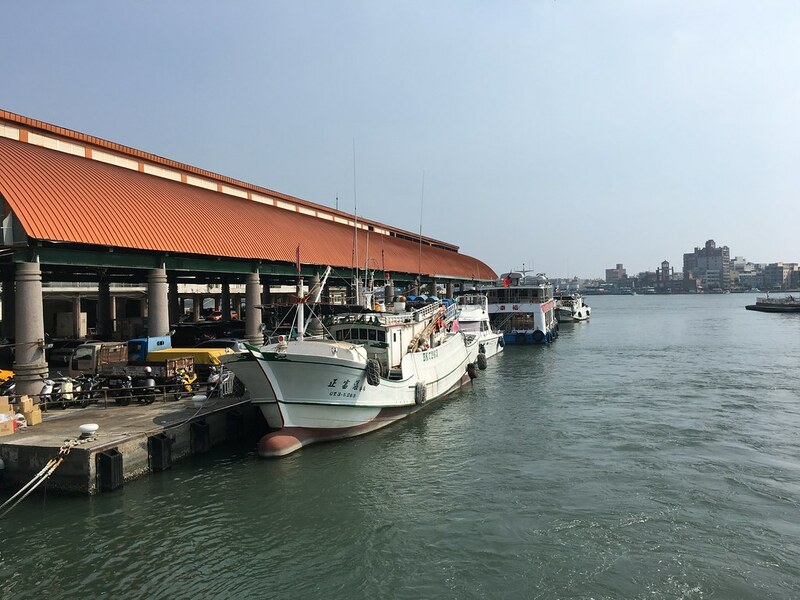 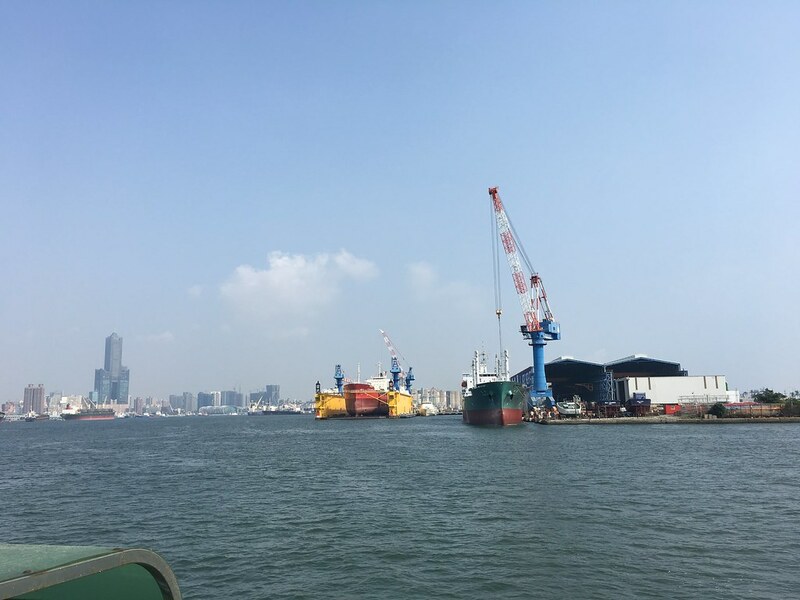 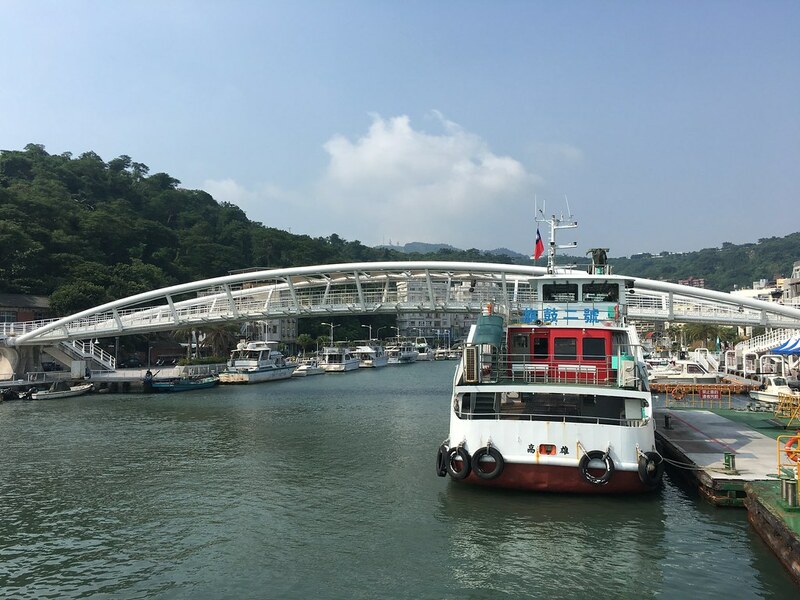 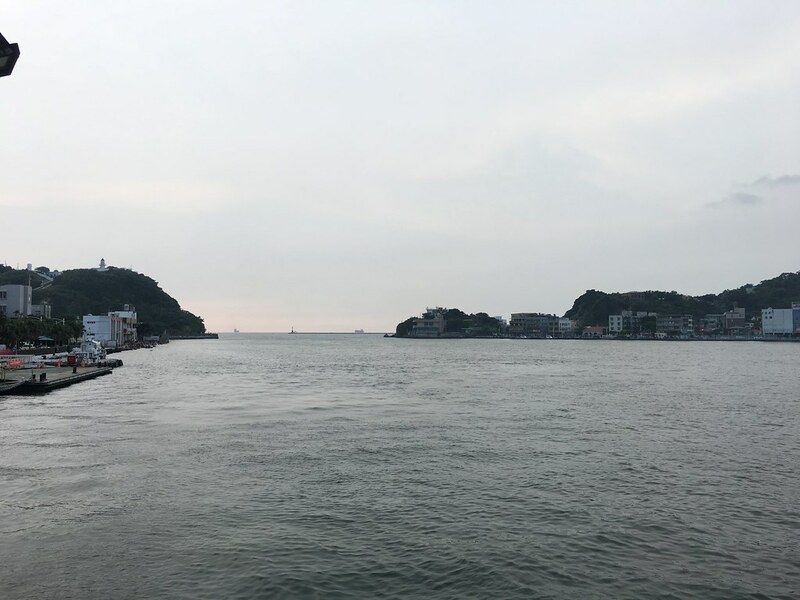 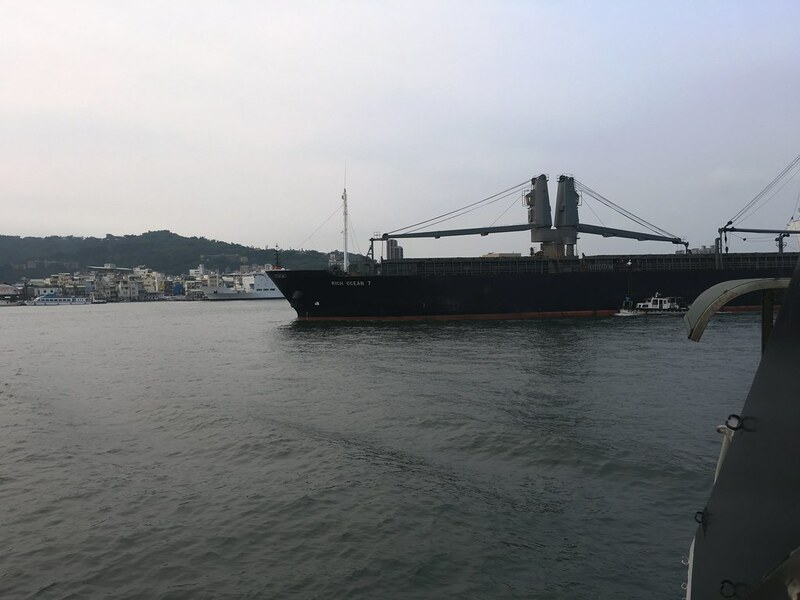 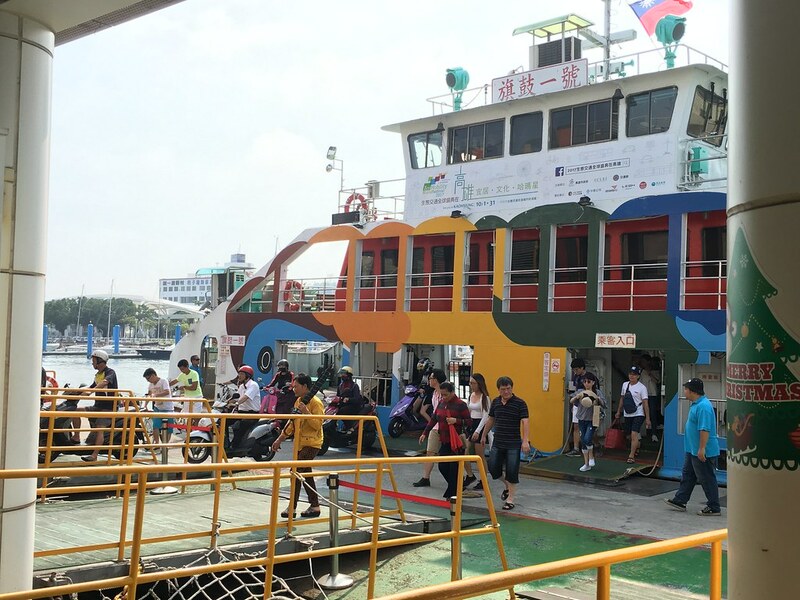 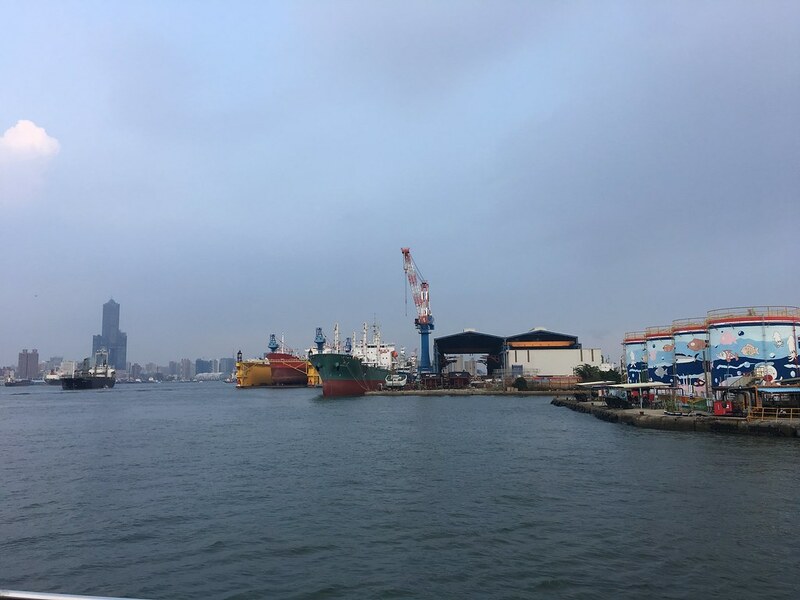 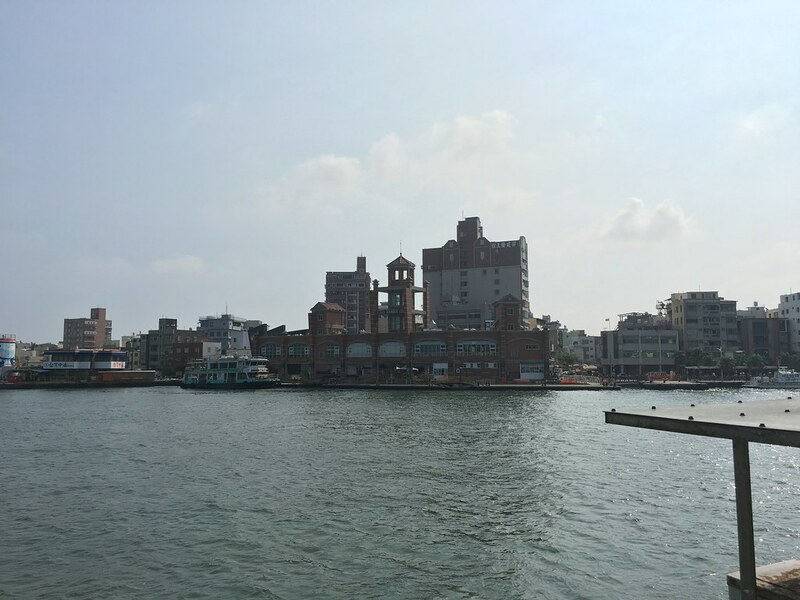 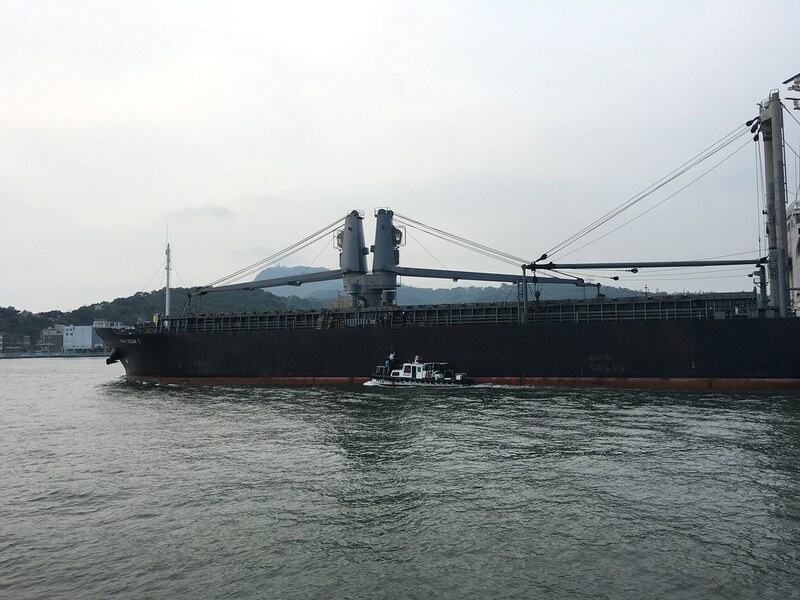 After meeting up and having some short discussion, we decided to do a KaohSiung harbor trip. 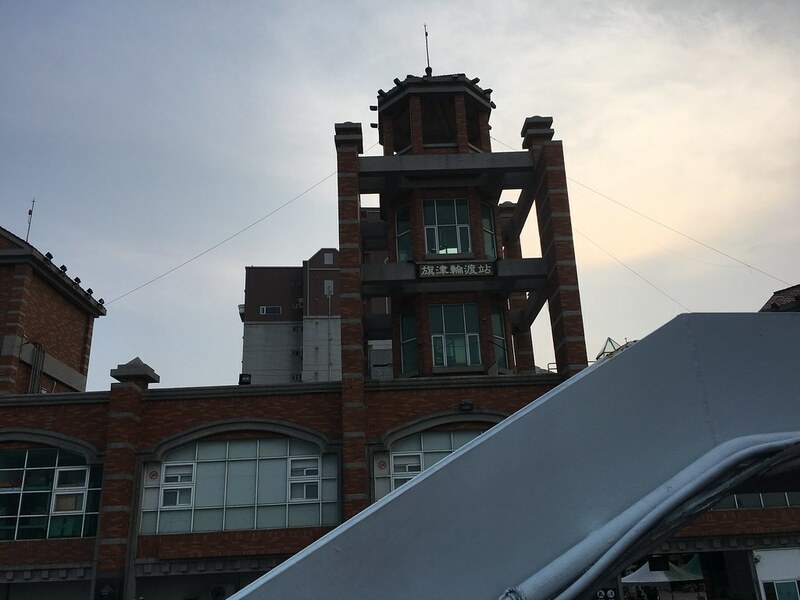 We took the subway and exited from Sizihwan 西子灣 station. 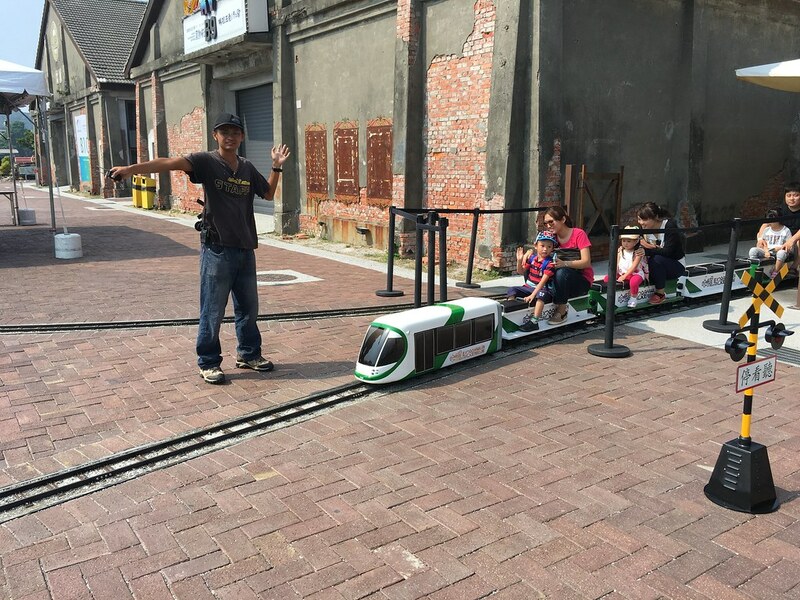 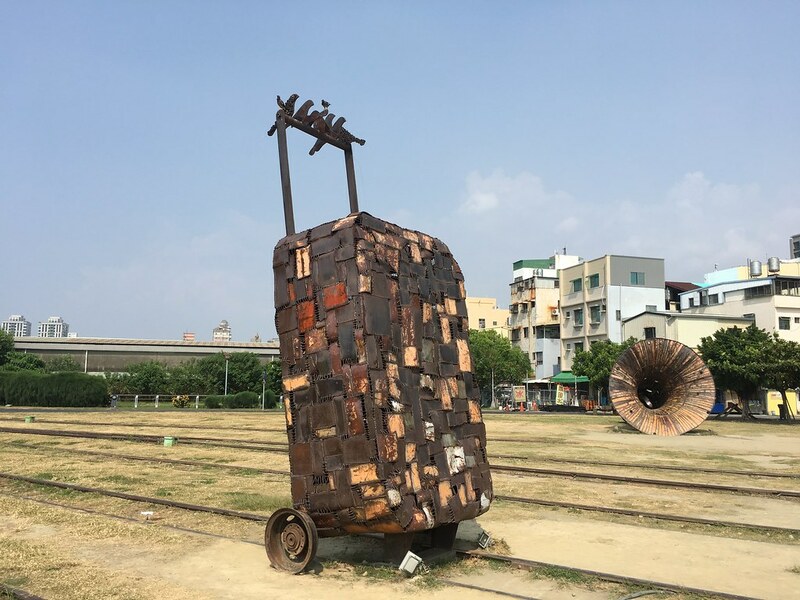 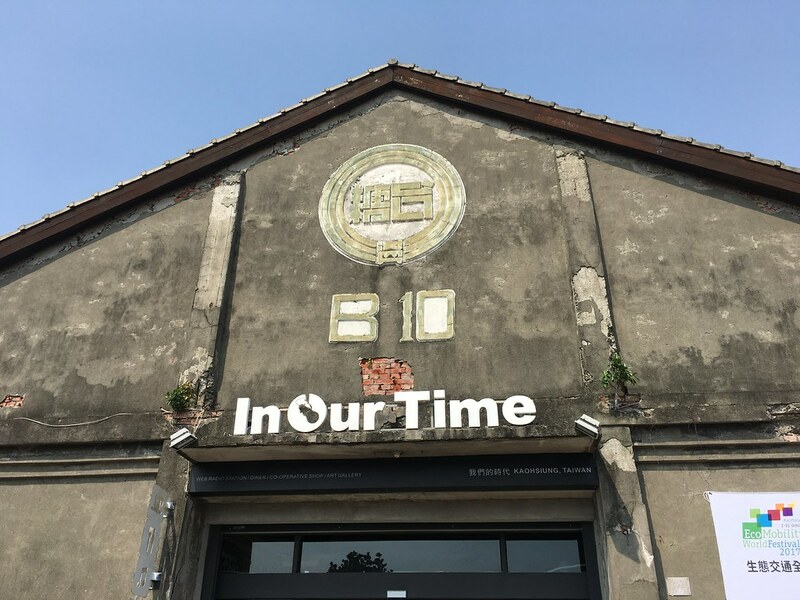 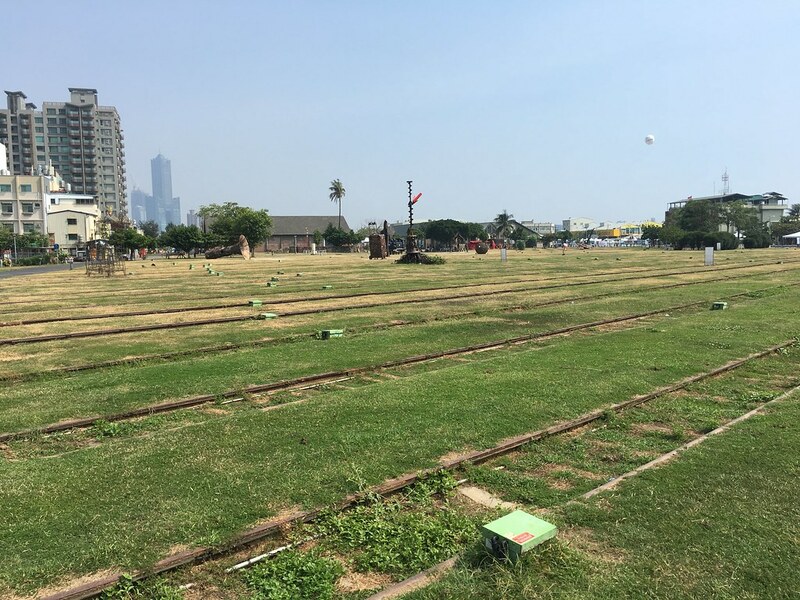 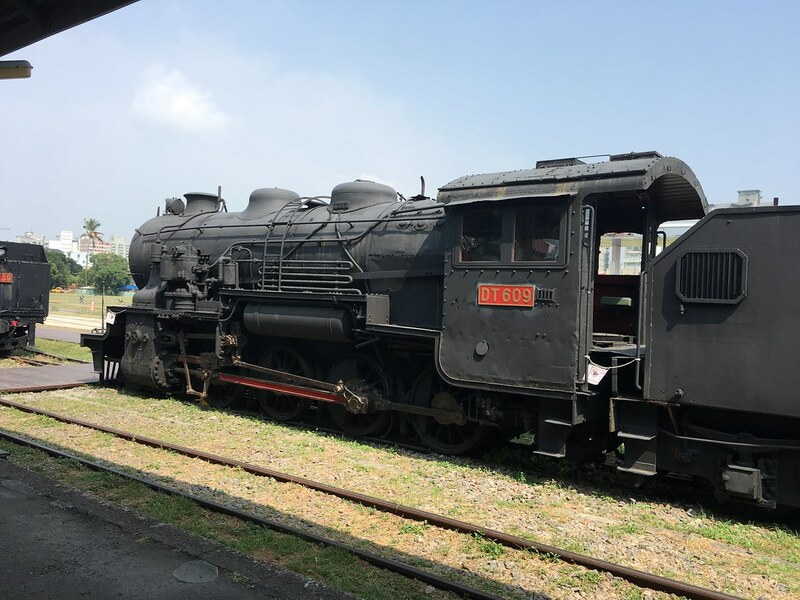 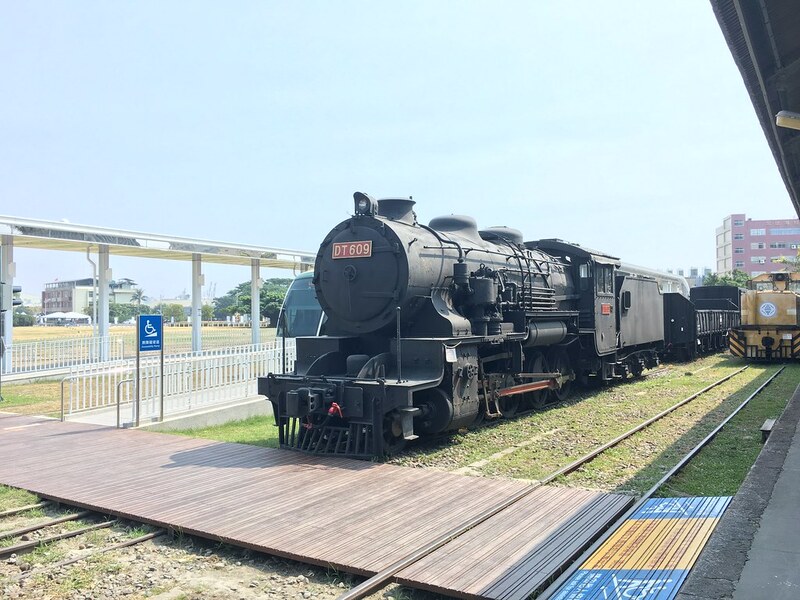 The first stop of our KaohSiung Harbor trip we went to a railway cultural park. 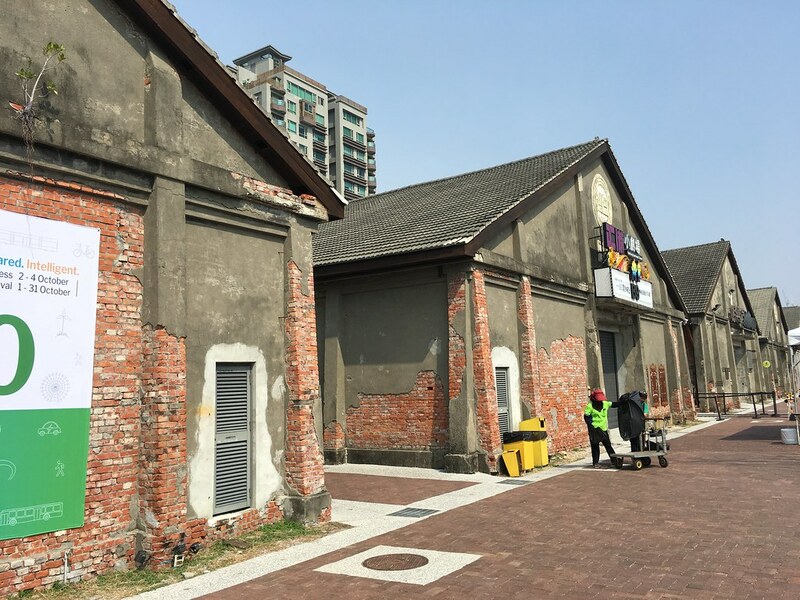 At the end of the cultural park were several old sugar factories/warehouses converted into stores and exhibition halls. 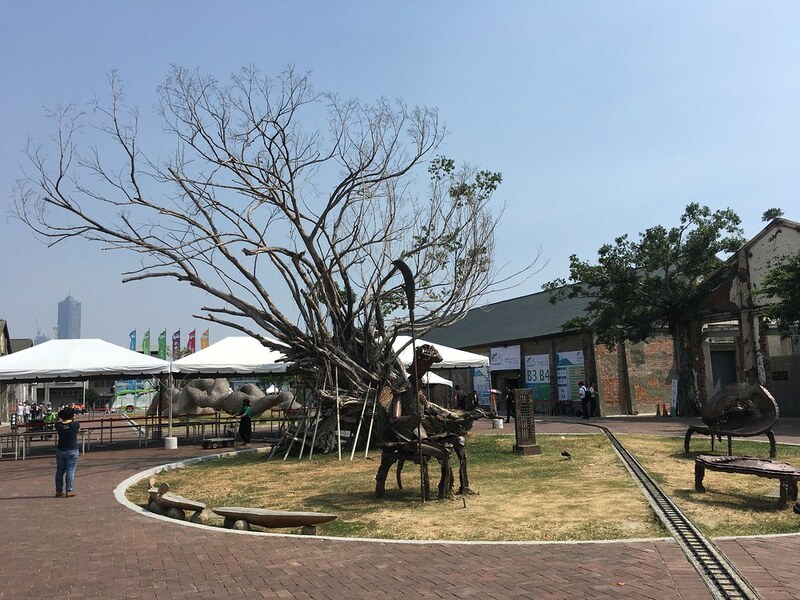 There was a exhibition going on when we were here, something about green transportation. 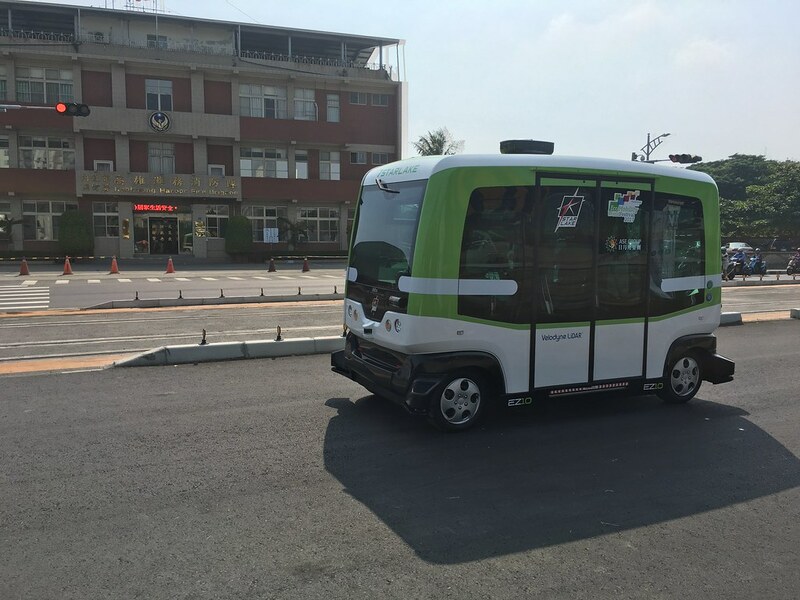 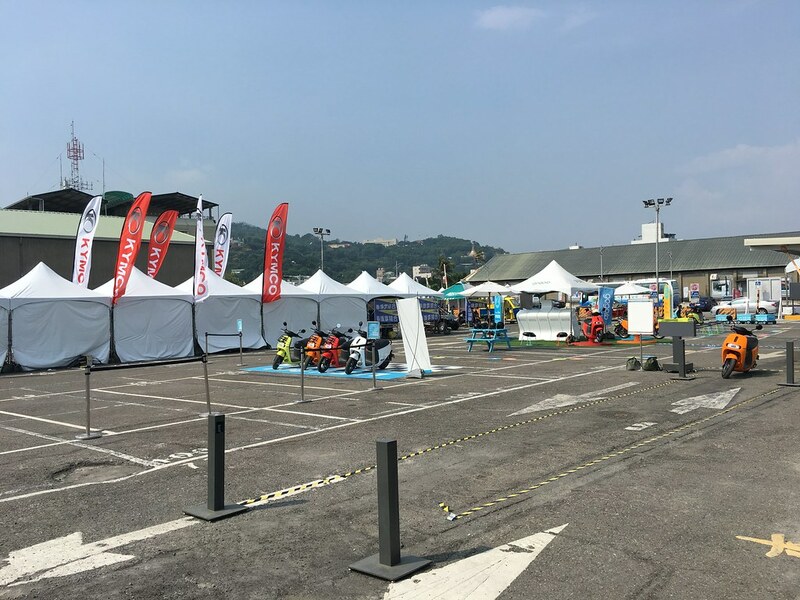 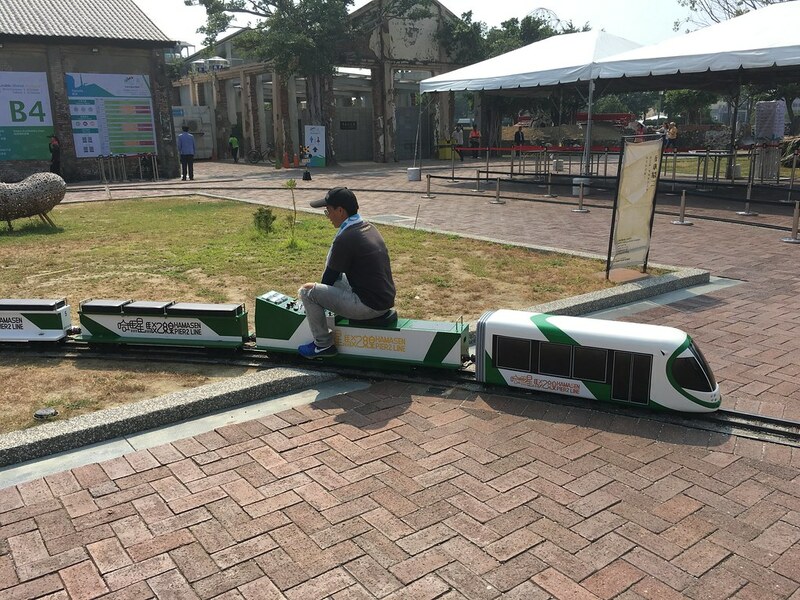 Taiwan’s first e-scooter brand Gogoro test drive booth. 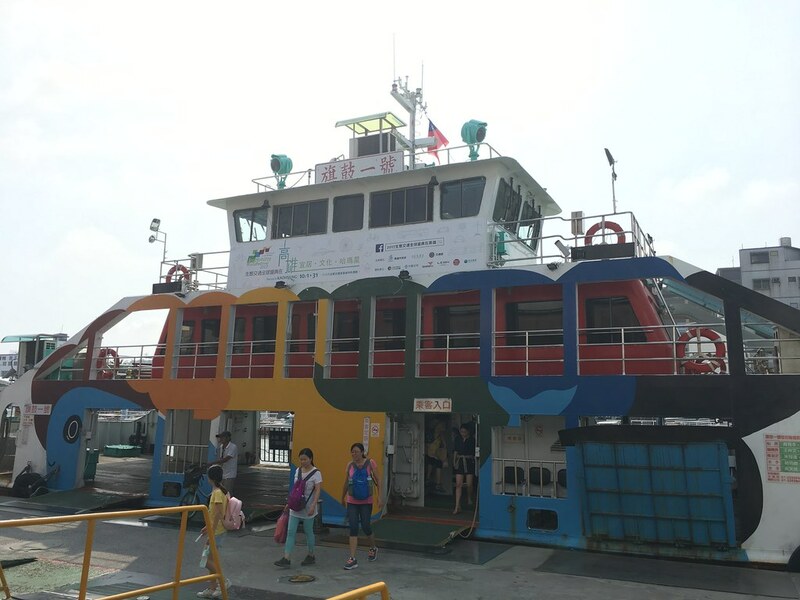 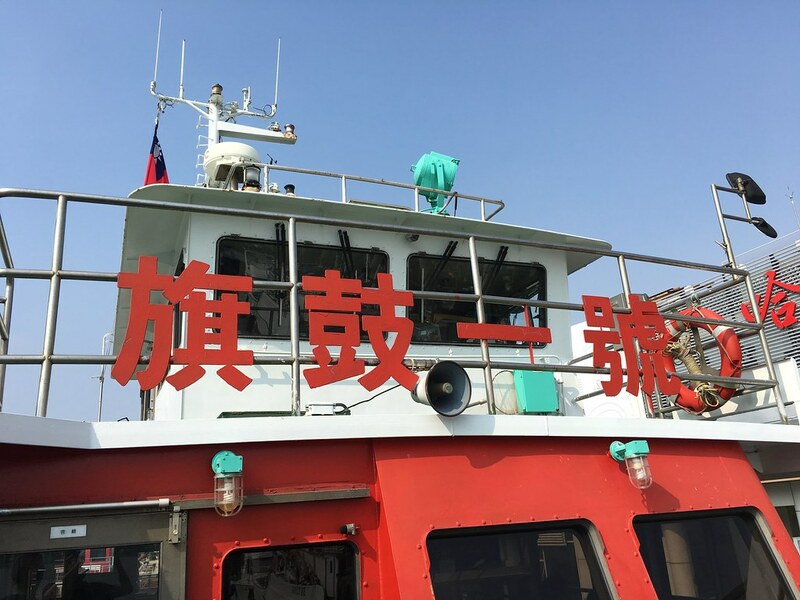 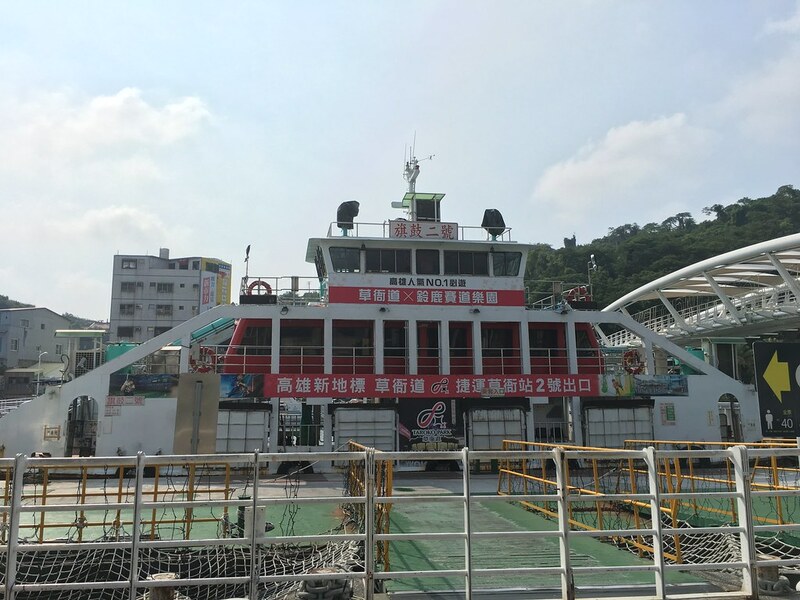 Having enough of the cultural park we were ready to take the ferry to CiJin 旗津, a long narrow island west of KaohSiung Harbor. 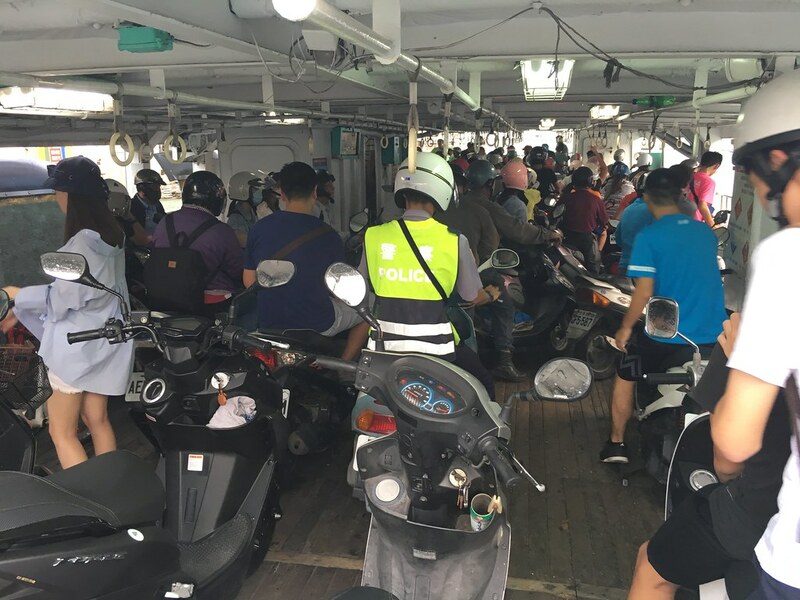 The ferry was people and scooters only. 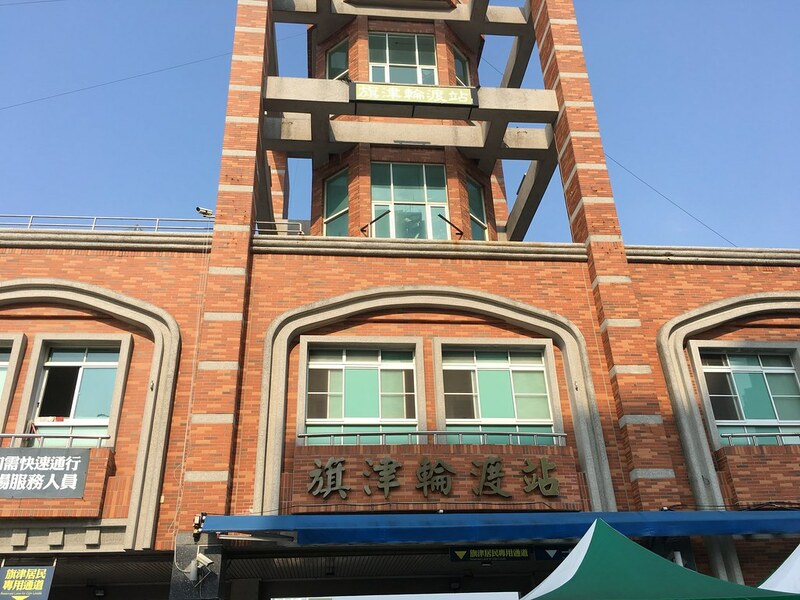 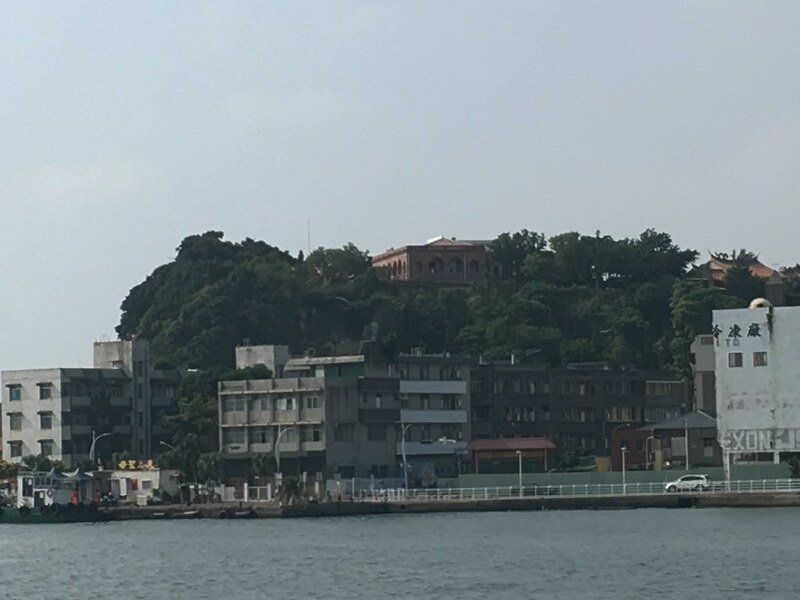 The red brick building at the hilltop was The British Consulate at Takow 打狗領事館, a former British diplomat building from the Qing Dynasty (Actually it was the Director’s residence rather than the office). 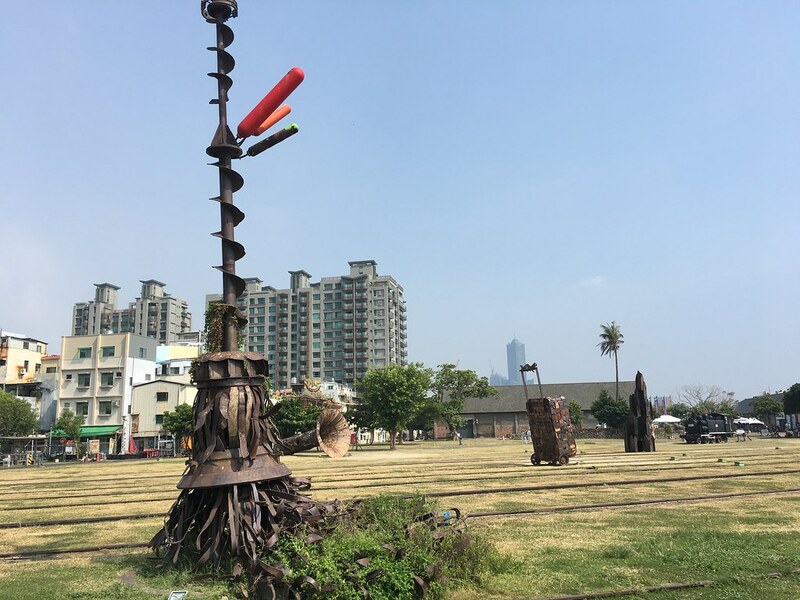 The tall building at the background was the “85 Sky Tower“. 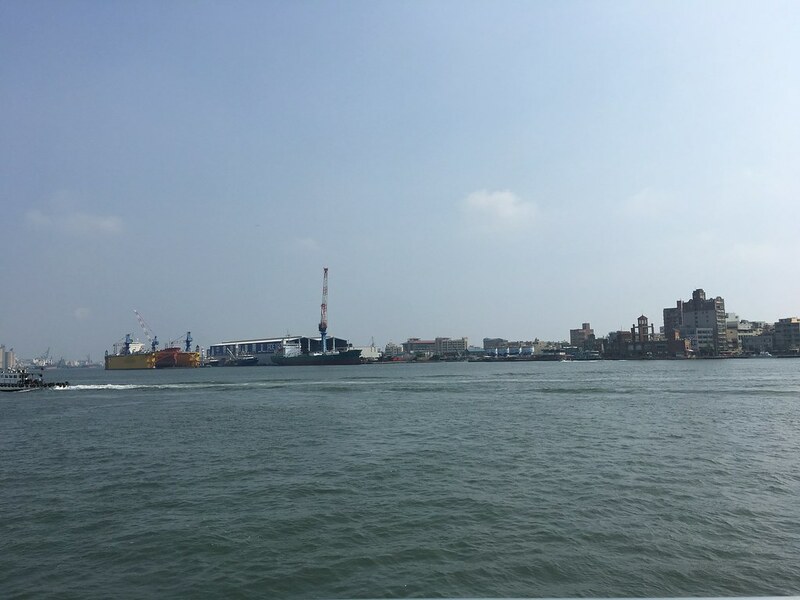 In our KaohSiung Harbor trip the ferry stopped at CiJin. 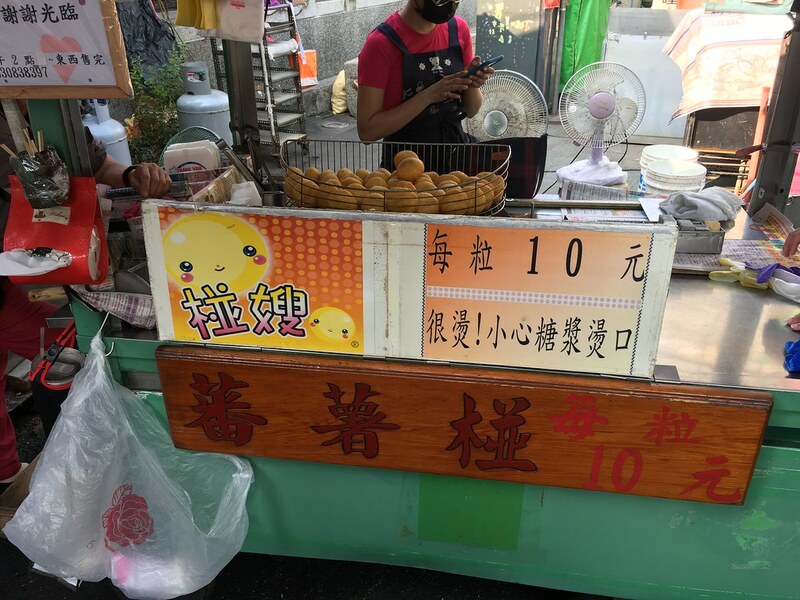 We first strolled the old street area and had some small snacks. 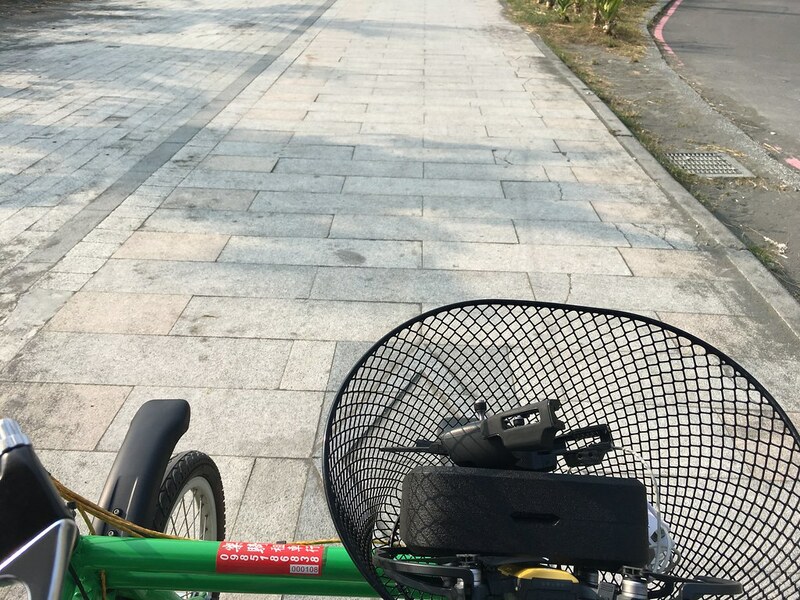 Just for fun we rent a two-people electric-powered kart to ride near the beach. 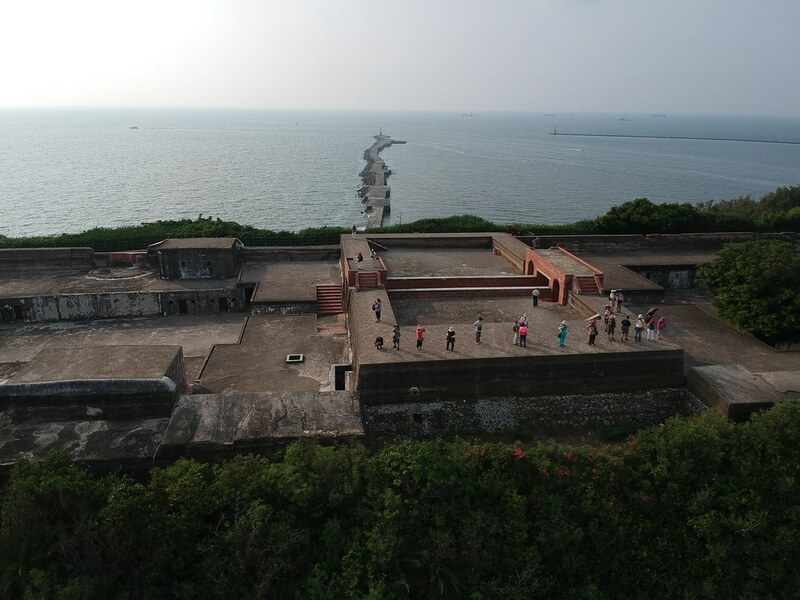 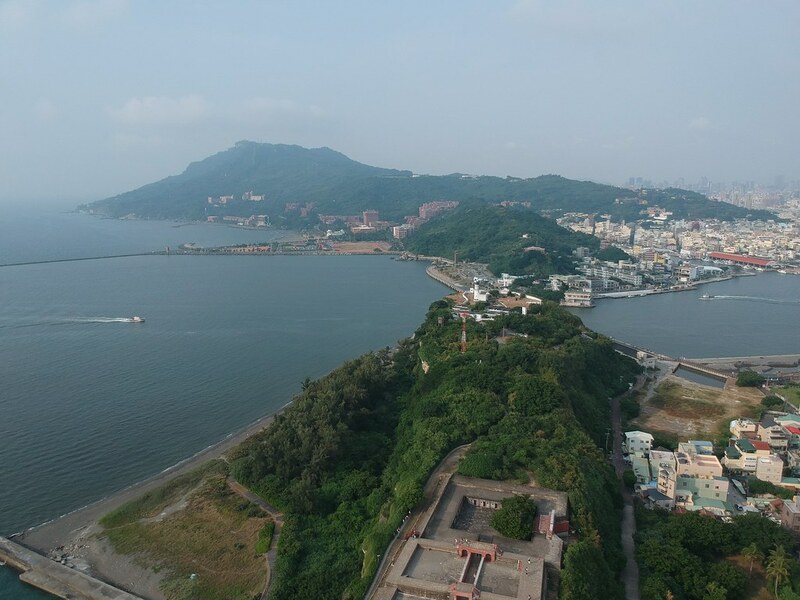 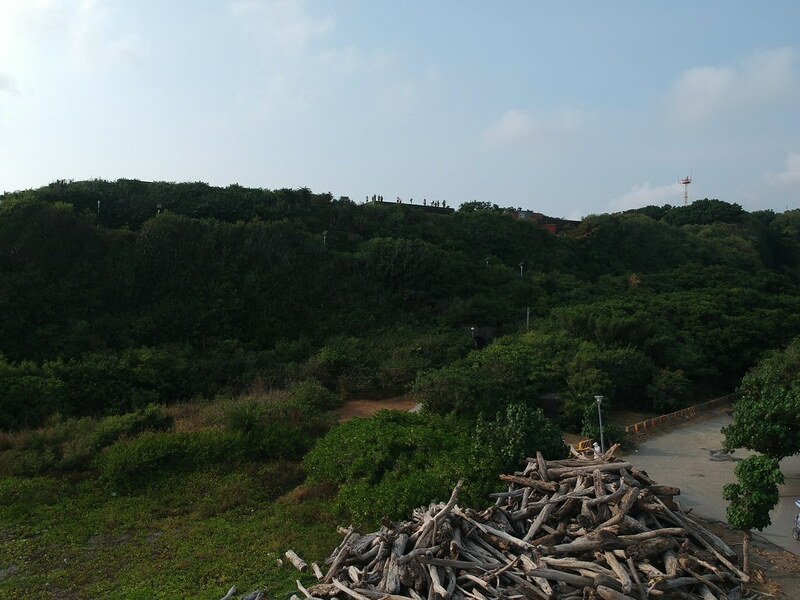 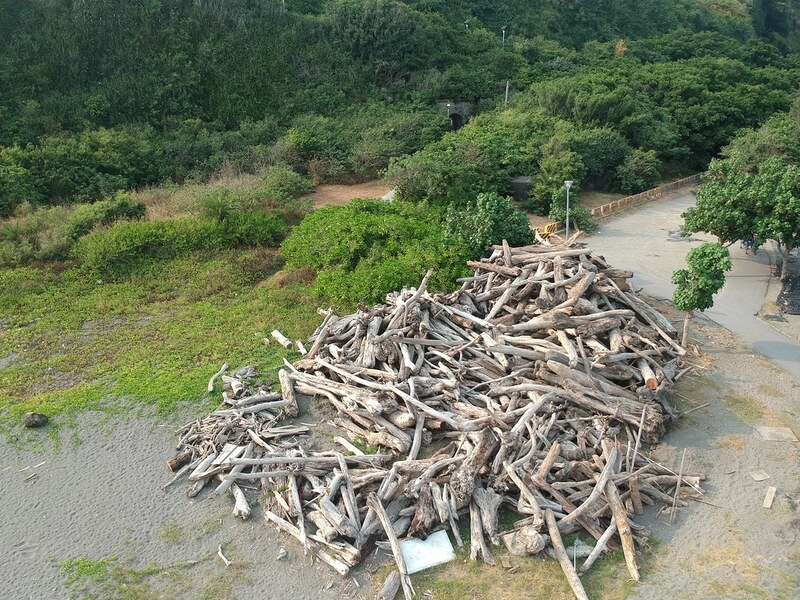 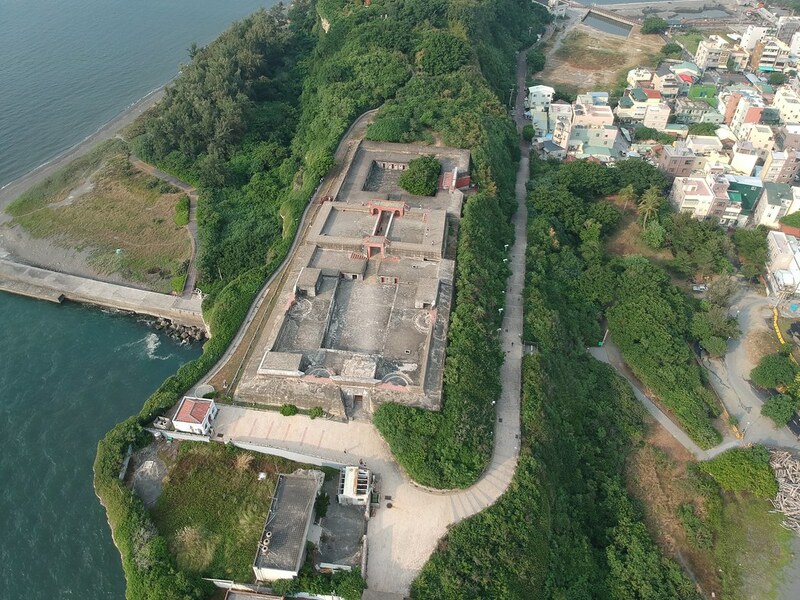 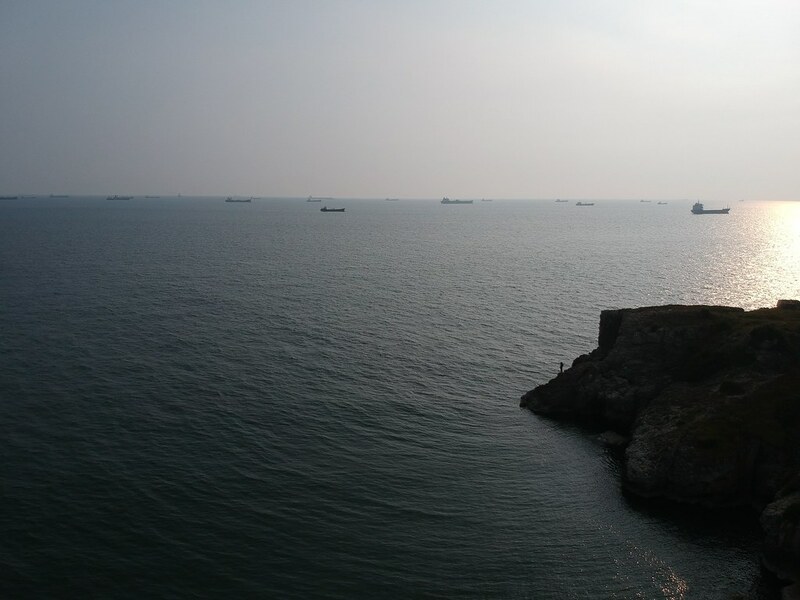 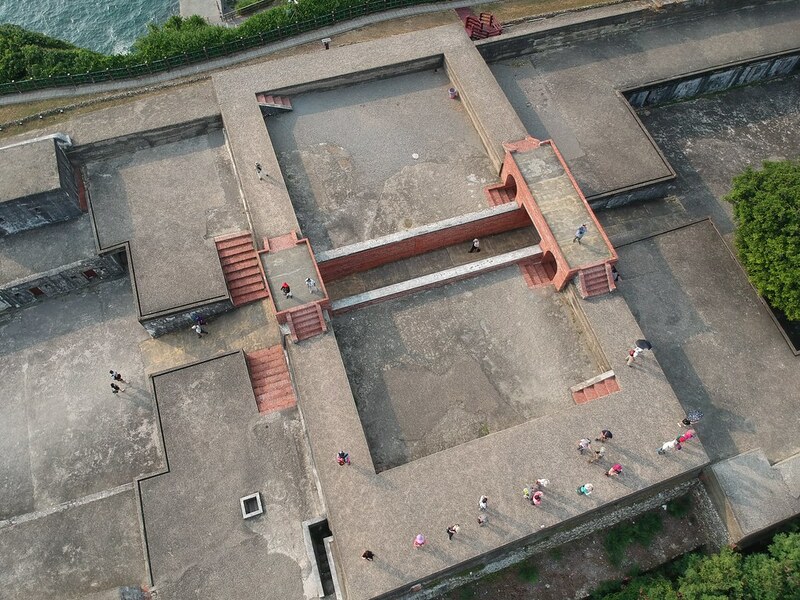 At the beach we released the drone to investigate the famous Cihou Fort 旗後砲台, an old battery more than 200 years ago. 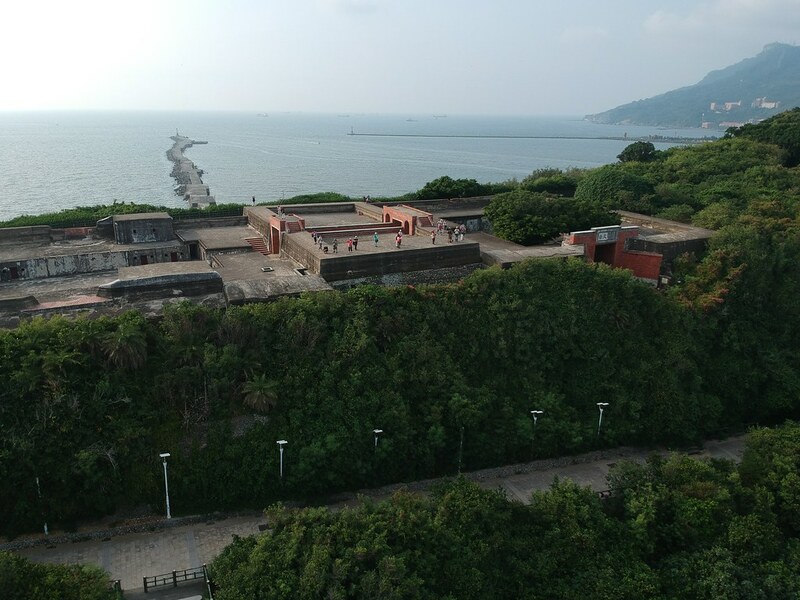 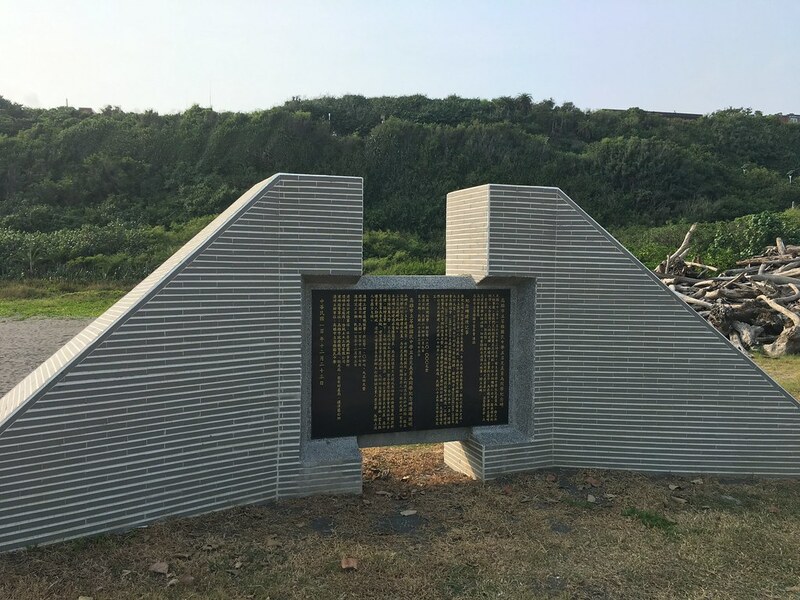 The fort was at the hilltop. 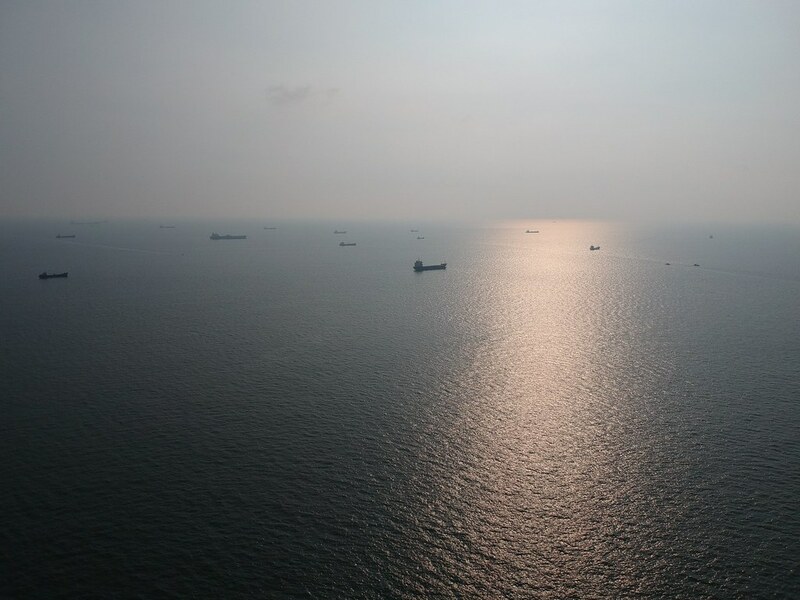 Container fleet in the ocean! 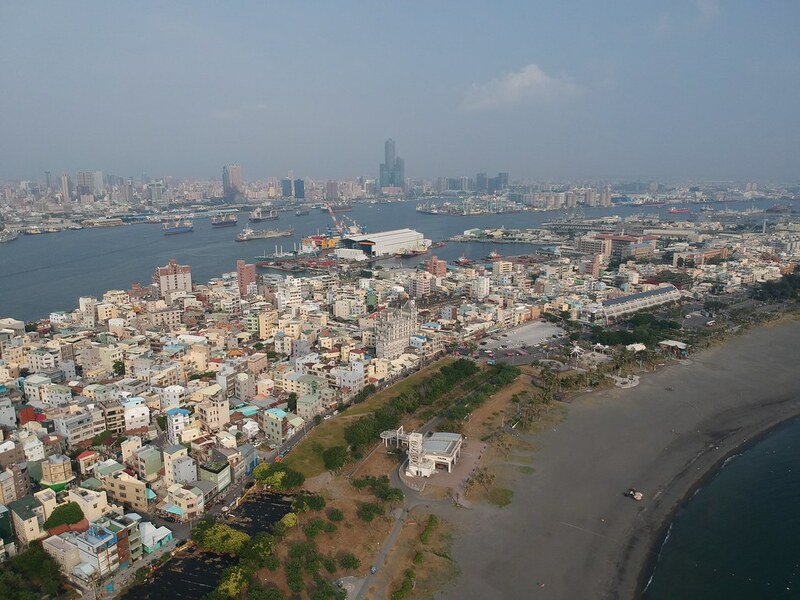 Having fun with the drone, it was time to wrap up our KaohSiung Harbor trip and get back.